LHC Group is committed to maintaining the confidentiality, privacy and security of its patients’ protected health information. Consistent with the Health Insurance Portability and Accountability Act (HIPAA), we do not use, disclose or discuss patient-specific information, including patient financial information, with others unless it is necessary to serve the patient or required by law. A copy of our Notice of Privacy Practices is provided to each patient at the time of admission. The notice describes how protected health information may be used and disclosed and how to access PHI. Download a copy of the notice in English or Spanish. We are committed to being conscientious and accountable when handling confidential company information. 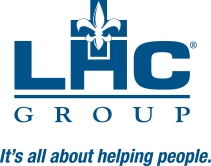 In addition, because of its confidential nature, business, health and financial information must be protected by an effective internal control environment, including policies and procedures to secure the company’s assets, and made available outside the company only with appropriate authorization and after consideration of the interests of LHC Group as a whole.